January is typically the time of year when people commit to getting organized – clearing the house of unnecessary items, organizing files and offices, and creating a budget for the year ahead. The team at Prairie Construction thinks this is a great time to plan for that construction or remodel project you have been considering. A construction project of any size for business or property owners is a big decision. And the decision to commit is often the biggest hurdle. Initiation: You have decided you are ready for the project, and now it is time to get started. Choose a designer and contractor, get the budget squared away, and commit to a start date. Now the fun begins! Planning: Work closely with your contractors and designers to nail down the plans, secure necessary permits and logistics. Execution: Once the project is underway, while some monitoring and decision-making may be necessary, you can leave the heavy lifting to the professionals. Closure: This is the point when you get to enjoy the final project – whether it be a new home, a remodel project or new office or work space! 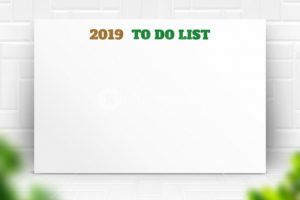 Make 2019 the year you commit to that project. Don’t wait until your office is overcrowded. Do it now so you can enjoy it. And of course, the experts at Prairie Construction are here to help!